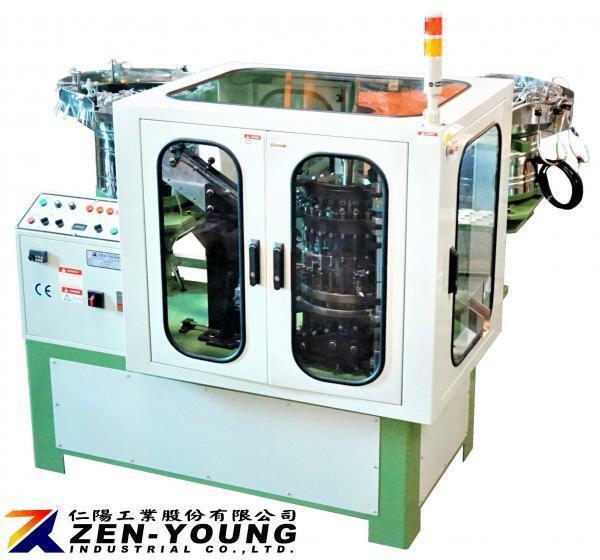 Self - Drilling / Tapping Screw & Washer Assembly Machine(ZYB) - Zen-Young Industrial Co., Ltd.
●Assembling PVC / EPDM rubber / Bonded sealing Washer. 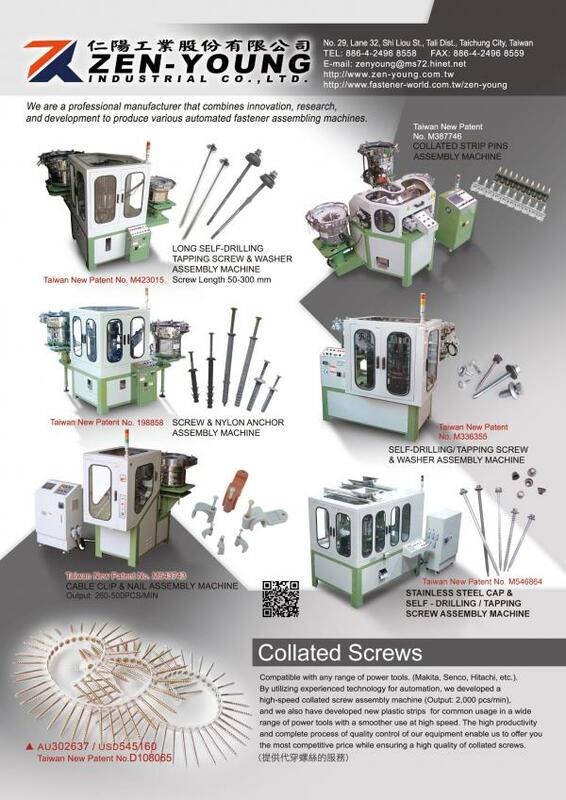 ●New pressing screw head mechanism is by cam drive and springs. New pressing screw head mechanism is by cam drive and springs(New Patent)that improves other brands machine`s pressing unit by shunt valve and cylinder. When the supply of screws or washers is late, the machine will stop automatically. After the feed tracks are full of screw and washer, the machine will be automatic movement.